Two more stories from the fantastically fun, magical cycling adventure series, Flying Fergus. The Wreck-It Race: Fergus is sure their new coach is going to be his ultimate hero, cycle champ 'Spokes' Sullivan, so when Grandpa introduces Charlotte Campbell, the children are all less than impressed by her interesting training methods - yoga, wheelbarrow races and Wreck-It Run, a charity race where everyone creates their own adapted bikes from parts and must compete in pairs. Fergus is sure Charlie is off her rocker - how will this help them get faster for the International time trials? Sir Christopher Hoy is a British racing driver and former track cyclist who represented Great Britain at the Olympics and World Championships, and Scotland at the Commonwealth Games. With a total of seven Olympic medals, six gold and one silver, Hoy is the second-most decorated Olympic cyclist of all time. 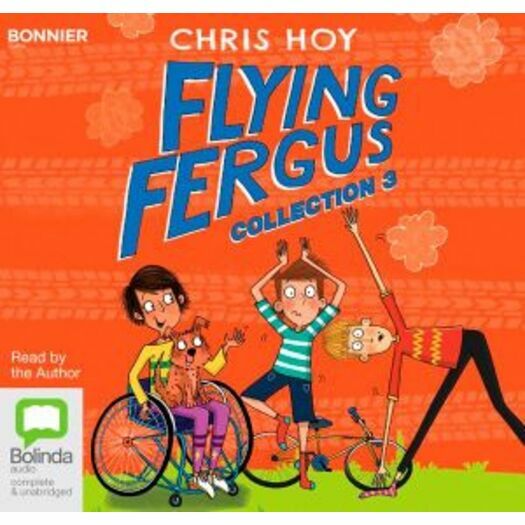 Hoy's autobiography was published in 2009, and his first two children's fiction books, about a young cyclist called Flying Fergus, were published in 2016.